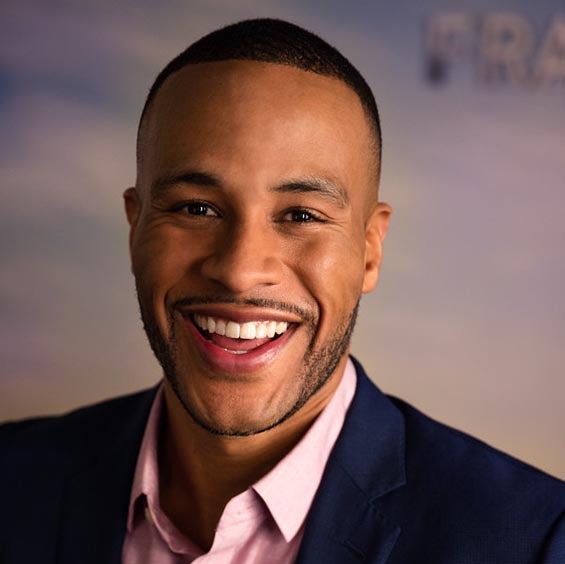 Award-winning film and TV producer DeVon Franklin will speak during Proclaim 19, the NRB International Christian Media Convention that will be held March 26-29, 2019, in Anaheim, California. Franklin is president & CEO of Franklin Entertainment, a multimedia company that produces inspirational and commercial content. He is also a best-selling author whose books help people experience spiritual, business, and relational success. As the former senior vice president of Columbia Pictures, Franklin was one of the youngest and highest-ranking African-American studio executives in entertainment history. During his near 10-year tenure at Columbia, he championed some of Hollywood’s biggest box-office hits, including The Pursuit of Happyness, The Karate Kid, and Jumping the Broom. In addition, Franklin produced the hit film Miracles From Heaven starring Jennifer Garner and Queen Latifah. Currently, Franklin is the producer of the upcoming film Breakthrough with 20th Century Fox, to be released on April 12, 2019, and screened in advance at Proclaim 19. In addition, Franklin has many high-profile film projects in development, including The Boy Who Knew Too Much with 20th Century Fox, the reboot of He-Man and the Masters of the Universe franchise with Columbia Pictures, and the remake of the classic film Cooley High with Common at MGM. In television, Franklin is producing Chi-Arts, a music-driven drama at ABC, and a reboot of Foxy Brown at HULU. Other speakers at Proclaim 19 include ministry leaders Greg Laurie, John MacArthur, Charles Stanley, Joni Eareckson Tada, Bobby Schuller, and Rick Warren; entertainment industry professionals Alex Kendrick and Kirk Cameron; radio talk show hosts Larry Elder and Dennis Prager; and many more.